1. Melt dark chocolate chips and coconut oil on pan. 2. 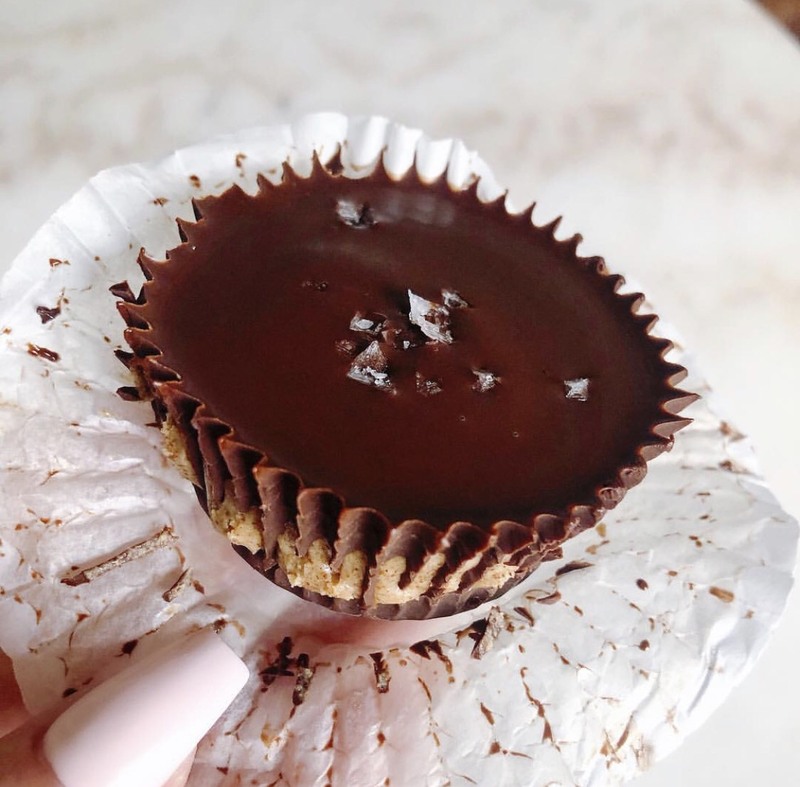 Line a muffin tray with liners and place 1 tbsp of the melted dark chocolate coconut oil mixture into the liners and place in freezer to harden for 5 minutes. 3. In a separate bowl – combine almond butter, collagen and almond extract. 4. Roll into balls and place on top of hardened chocolate mixture. 5. Add about 1 tbsp of chocolate mixture on top, sprinkle sea salt flakes and place cups back into freezer for 5 minutes.